More effective protection circuit. Output protection on each port, short circuit,overload protection. When any power output short circuit or overload, the protect circuit is active, and the corresponding alarm indicator light flashes. Meanwhile all the other output ports are not affected. 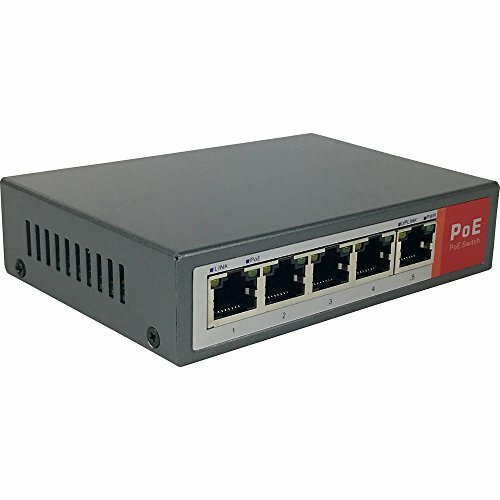 This 4 port POE Hub implements sufficient and advanced MCU control technology,which has efficient protection of each port.It is used with wireless AP, IP cameras,VOIP and other device that supports power over Ethernet. If you have any questions about this product by Vanxse, contact us by completing and submitting the form below. If you are looking for a specif part number, please include it with your message.